A mad woman is murdering London bachelors by driving a railway spike through their heads! 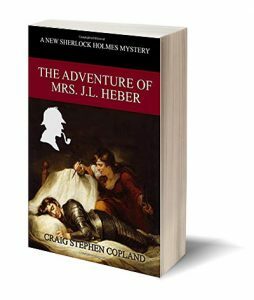 Scotland Yard demands that Sherlock Holmes help them find and stop a crazed murderess who is re-enacting the biblical murders by Jael. Holmes agrees and finds that revenge is being taken for deeds treachery and betrayal that took place ten years ago in the Rocky Mountains of Canada. Holmes, Watson, and Lestrade must move quickly before more men and women lose their lives. The story is a tribute to the original Sherlock Holmes story, The Adventure of Black Peter. Buy it now and enjoy.